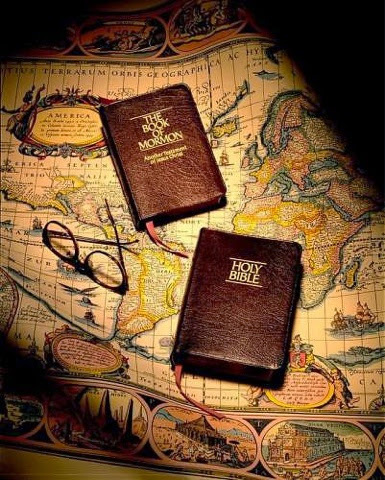 Truth and Light: Old Testament Lesson 30: "Come to the House of the Lord"
Old Testament Lesson 30: "Come to the House of the Lord"
Today's lesson focuses on two righteous leaders who had the courage and strength to restore the temple and scriptures to the people. v.3 What did Hezekiah make a priority in his life and how do we know it was a priority? "in the first year of his reign, in the first month" he opened the doors of the house of the Lord, and repaired them. How is our relationship with the Lord? Do we need to open the doors to Him? Do we need to repair our relationship with Him? Has our relationship been allowed to fall into a little disrepair? v.16 How did Hezekiah mend the people's relationship with the Lord? Cleansed the inner part, brought out all uncleanness from within and it was put into the brook Kidron. Why is that final detail in there? Because it shows a complete and utter abandonment of the uncleanliness. The brook Kidron once crossed was considered to be where you have at that point left Jerusalem. Essentially if you got this far, you were not planning on turning around. Likewise, if you bring your unclean things here, you are not planning on bringing them back with you. Thus taking all that was unclean symbolized the commitment to a complete and full and permanent cleansing. v.17 We are told it took 8 days to cleanse the temple from within right up to the front porch. The people then took another 8 days of cleansing. What else might they have needed to cleanse other than the temple? Likewise, other than personal cleansing within, what else may we need to cleanse in and around our daily lives? In Hebrew culture, the number 8 symbolizes "new beginnings". That it took them two 8 day periods to fully cleanse again emphasizes their commitment to starting afresh with the Lord. What latter-day new beginning also has the number 8 associated with it? Baptism. v.20 In our previous studies we have seen how the righteous are always noted in scripture for rising early. Hezekiah is no exception. v.21-24 Part of the cleansing in former days is the sanctification through blood sacrifice. This practice was set up to foreshadow the ultimate and final, the last and ever-lasting, blood sacrifice, the Atonement of Jesus Christ. Goats were often used as symbolic sacrifices for our sins. Thus the term "scapegoat" originated wherein someone else took the punishment for someone else. v.24 "for all Israel" Why did Hezekiah make offerings on behalf of the Kingdom of Israel as well as his own kingdom of Judah? Was it just symbolic or did it have some practical use? Is this similar to our vicarious baptisms for the dead? v.36 "for the thing was done suddenly" How quickly can we change if we truly want to? What delays personal cleansing? Hezekiah invites all of Israel and Judah to cleanse themselves and come to the temple. Some do accept but many reject the invitation with mocking and scorn. Those that do accept are not fully temple worthy but through the righteous desires of their hearts, the prayers of Hezekiah and the sanctification of the offerings, they earn the mercy and healing of the Lord. What was the result of Hezekiah's determination and priorities? The temple was restored. Many people repented and were healed. Their prayers were heard. Sadly the great majority of the northern kingdom who mocked the idea of temple attendance and ordinances providing them protection, were (just a short three years later) attacked by Assyria and within three years after that initial attack they were carried away captive. This is the beginning of the lost ten tribes. 2 Kings 18:9-12. Interestingly enough in 1841 Joseph Smith was told to issue a similar invitation to all the world and the saints in Doctrine and Covenants 124:2-4, 10-11, 27-28. How did that turn out? Sennacherib, King of Assyrria decides he wants to invade and sack Jerusalem. v.3-8 What does Hezekiah do? cuts off anything that might give life to this invader of their sanctified lives. How can we cut off the oxygen or the water supply that feeds sin as it tries to invade our freshly sanctified lives? Notice Hezekiah does not rest on his sanctified laurels, he strengthens himself more. He rebuilds the wall higher and he builds a second wall of defence. He also prepares for a fight, adding more weapons. He organizes his people, appointing leaders and he inspires them, reminding them of who they ultimately look to for protection. How might we learn from this in our own homes and families? Who are the servants of the Lord? v.9-20 Did Sennacherib attack them in open battle? No. He could not the defences were too high. So how did he attack them? He himself didn't directly attack them. He sent his servants among them to weaken their faith. He wrote letters to the people to weaken their resolve and even spoke to those on the walls in their own language to frighten them into giving in. Hezekiah eventually dies, first his son Manasseh and then his grandson, Amon rule unrighteously. But then his great-grandson Josiah begins to reign at the age of 8 years old. Notice the symbolism of a new beginning. Josiah reigns in righteousness refusing to be turned. In his 26th year he takes the tithes and offerings that have been collected and uses it to rebuild the temple of Jerusalem. As they gathered the tithes and offerings of the temple what else did they find? v.14 the book of the law of the Lord, as given by Moses. It condemns the people to death for forsaking the Lord. When Josiah consults the prophetess Huldah, she confirms that future generations will die as a result but that he will be preserved because of his faithfulness and his humility. Josiah might be tempted to retreat within his self-preserved bubble but instead what does he do? v.29-33 Josiah commits the people to live the Law of the Lord. They do all the days of his life. Throughout this lesson, the temple's complete restoration to full usage and focus on the scriptures is hailed as the central component of people becoming sanctified and being able to draw upon the powers of heaven. Are those powers available to us today? How might we more fully restore the temple in our lives? “Let us be a temple-attending people. Attend the temple as frequently as personal circumstances allow. Keep a picture of a temple in your home that your children may see it. Teach them about the purposes of the house of the Lord. Have them plan from their earliest years to go there and to remain worthy of that blessing. “If proximity to a temple does not allow frequent attendance, gather in the history of your family and prepare the names for the sacred ordinances performed only in the temple. This family research is essential to the work of the temples, and blessings surely will come to those who do that work” (in Conference Report, Oct. 1994, 8; or Ensign, Nov. 1994, 8). When personal circumstances or proximity do not allow us to attend the temple regularly, what other way, according to President Hunter, can we show the Lord that our hearts are in the right place? If every one of the Latter day Saints lived up to their privileges, they would not fear the world, and all that they can no, any more than they fear that the cranes, that fly croaking three quarters of a mile above them, will drop their eggs upon them to dash their brains out. You might as well fear that event, as to fear all the forces of hell, if the people were sanctified before the Lord, and would do His will every day. I am so sorry I did teach Lesson 29 but I didn't get to put anything in the blog. But a couple of things of interest are the sites Elijah took Elisha to before he was taken in the whirlwind. All of the sites were significant to the children of Israel - Gilgal was where the children of Israel first took on the covenant of separation symbolized by circumcision after they entered the promised land. This was to symbolize separation from the world. They left an altar of stones. Bethel is where Jacob had his dream of the ladder and covenanted to a committed relationship with the Lord. He also left an altar of stones. Jericho is where Joshua and his army had to forgo their weapons (symbols of their own strength) and walk in faith around the city until it fell. They left a city in a pile of stones. Jordan is where the great miracle of crossing into the new life happened. It at once symbolizes death and birth. They also left a pillar of stones in the Jordan too. I often wondered why Elijah took Elisha on this detour of a tour of holy sites that had been forgotten by so many of the children of Israel by now. I think he was preparing Elisha, showing him the way that was required, Separation from the world (the flesh), commitment to God, walking in faith until they cross over to the other side. As Elijah is about to be taken, he offers Elisha a request. Elisha asks for a double portion of his spirit. Many have mistaken this for Elisha asking to have what Elijah had, two times over. More likely this was Elisha suggesting he was ready to inherit the mantle of the prophet. A double portion was not the entire inheritance of Elijah's multiplied twice. Rather it is the rightful inheritance of the eldest. It is the double portion assigned to the eldest son compared to the single portions inherited by the other sons. Elisha is simply asking for his inheritance - in this case the mantle of the prophet. It sheds a whole new light on things when you look at it that way. Of course much of this lesson is about eyes being opened and seeing things. The servant of Elisha, whose eyes are opened, is a marvellous example of what is around all of us if we listen, and understand first and then are prepared to have our eyes opened. Good luck with your lesson study.